I WILL FIND THAT ROAD RUNNER!! Whimsical taxidermy dates back to many centuries. It was at one time considered a lost art form and has picked up of the past years. 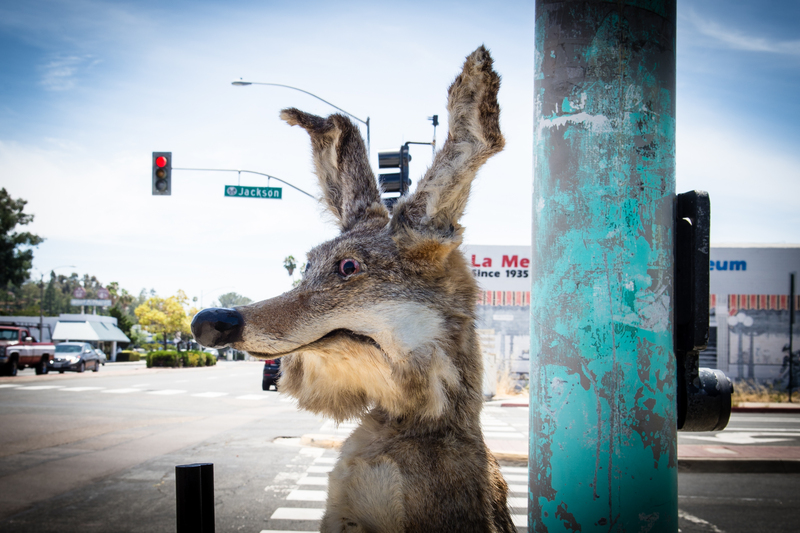 The most famous of all Whimsical taxidermy is the famous Jack O Lope. This piece in very unique and standing tall on two legs and has double barrel shotgun and holding a bird. He has great bloodshot eyes, very fun piece. The symbol that captures the Halloween spirit is the jack-o’-lantern, or carved pumpkin. 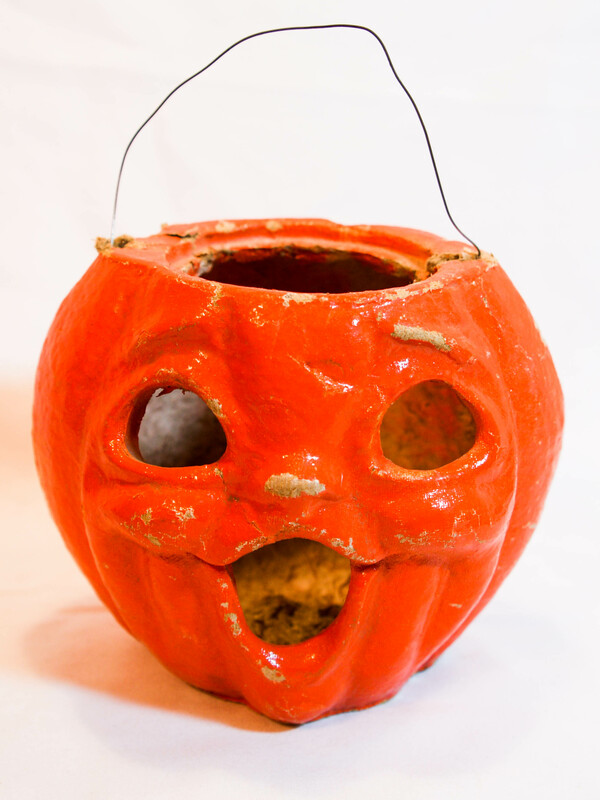 Some of the earliest jack-o’-lanterns were made in Germany of composition or pressed paper. This one is in great shape. There are plenty of collectors around the world for holiday and Halloween items. 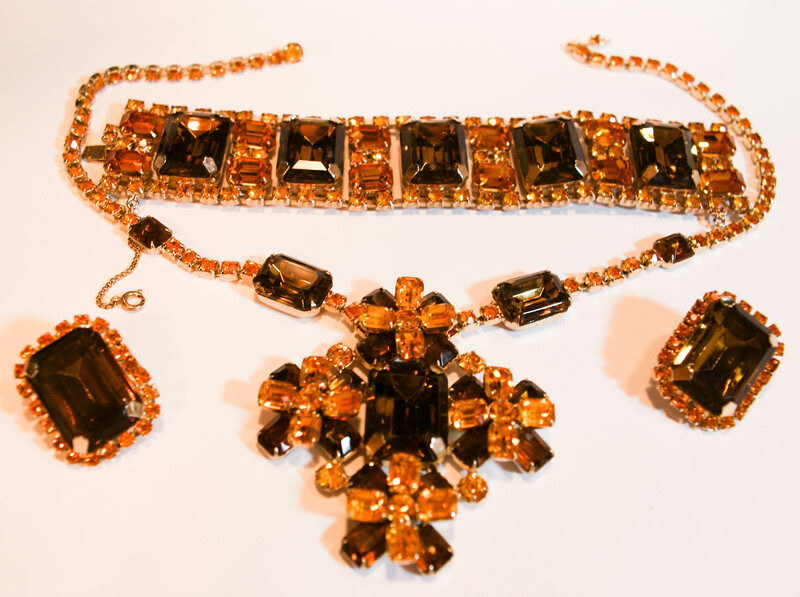 This is a stunning rare amber color Weiss signed rhinestone jewelry set. Albert Weiss, a native New Yorker, started his company in 1942, on Fifth Avenue in N.Y., after having worked for Coro and Marvella Jewelry. Mr. Weiss worked primarily in clear and colored rhinestones and was very well known for his creations of butterflies, bugs and flowers. 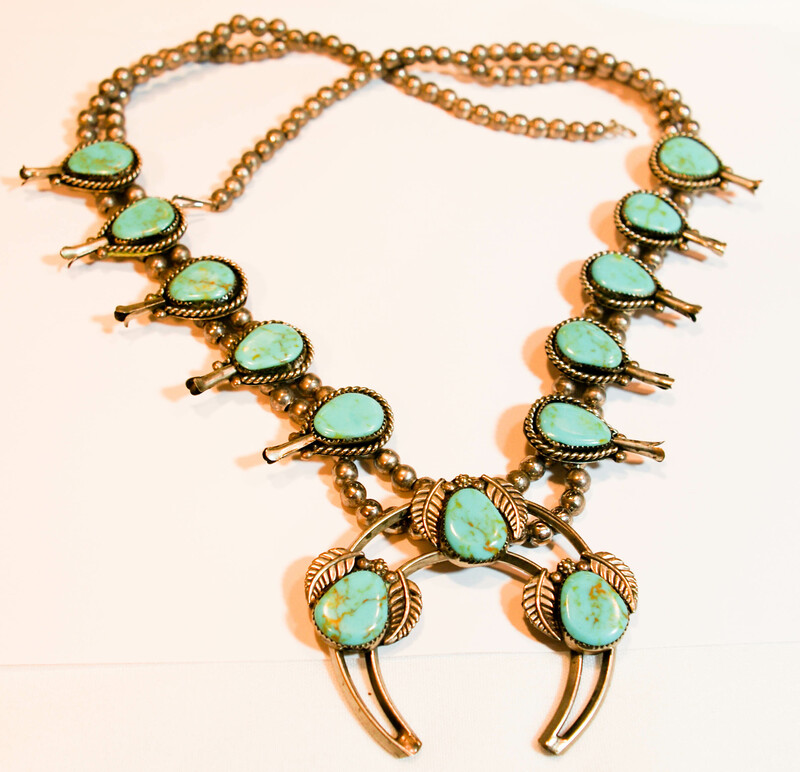 Costume jewelry is collected and worn by millions of ladies around the world. 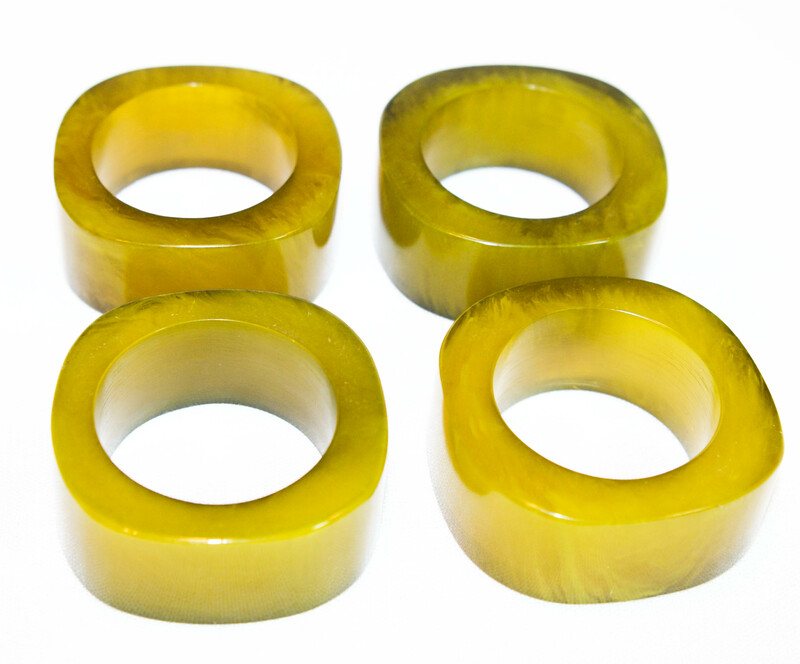 1930’s bakelite napkin rings, just stunning deep green color. Fact! The napkin ring, occasionally called a serviette ring, was originally used to identify the napkins of a household between weekly wash days. Napkin rings are an invention of the European bourgeoisie, first appearing in France about 1800 and soon spreading to all countries in the western world. Most 19th century napkin rings were made of silver or silver plate, but others were made in bone, wood, pearl embroidery, porcelain, glass, and other materials. In the 20th century bakelite and other new materials were used. Mexico Silver at its Best!! This beautiful 1930’s artist made Mexico Taxco signed large bracelet 2 ½” wide is a fine piece of art masterfully made. 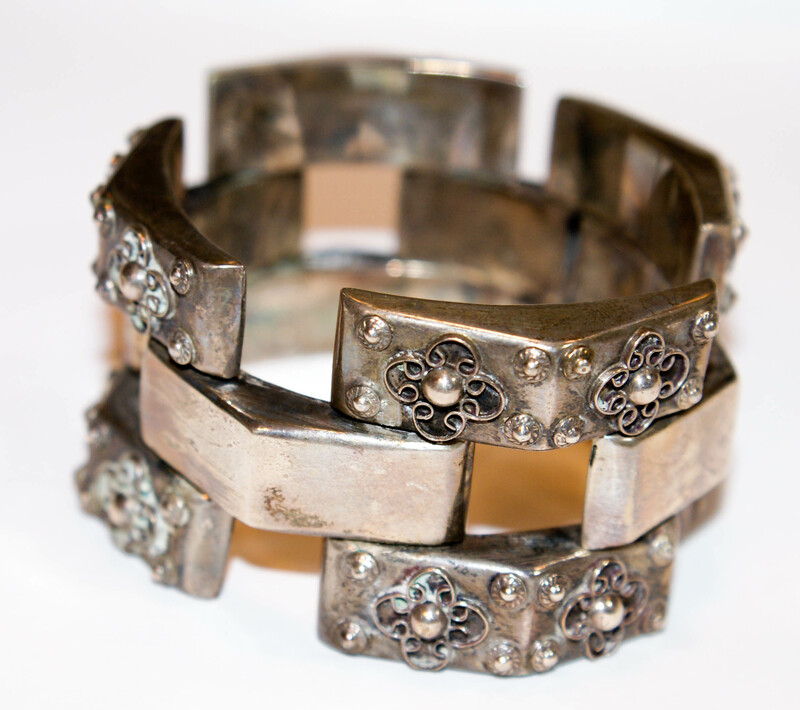 The history of silver in Taxco is a fascinating combination of legend and fact. Located in the hills between Acapulco and about 100 miles Southwest of Mexico City, Taxco in the state of Guerrero is one of the oldest mining sites located in the Americas. It has retained its natural charm with its colonial ambiance, red-tiled roofs, cobble-stoned, narrow winding streets and the towering, impressive 240 year old Santa Prisca Catheral. It’s natural wealth of silver attracted early Conquistadors. In the late 1920’s the highway from Mexico City finally reached Taxco and in 1926, William Spratling, a U.S. citizen and associate architecture professor from Tulane University arrived in Taxco to study Mexico and its culture. In1929 he moved to Mexico and was welcomed into the influential artistic circles of Mexico. In 1931 U.S. Ambassador Dwight Morrow commented to Mr. Spratling that Taxco had been the site of silver mines for centuries, but unfortunately had never been considered a location where jewelry and objects of silver were designed and made. This seemingly insignificant comment changed the course of Taxco’s artistic and economic history. 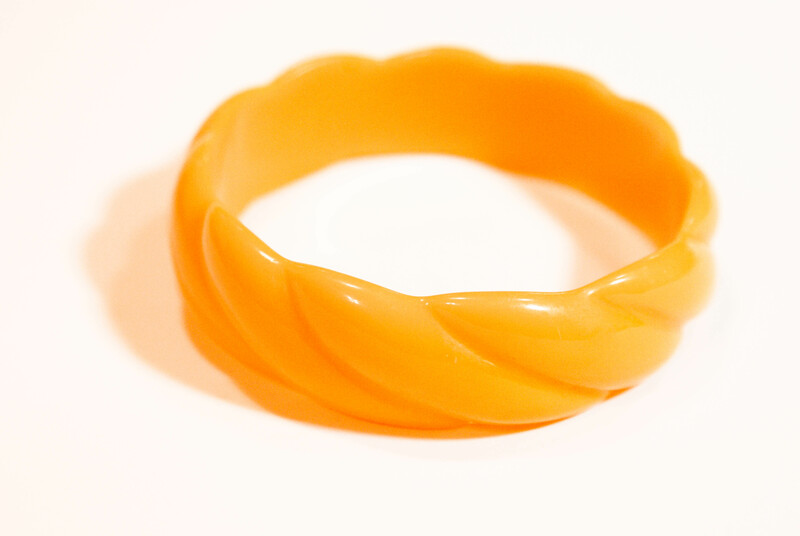 These are wonderful 1930’s bakelite bracelets. 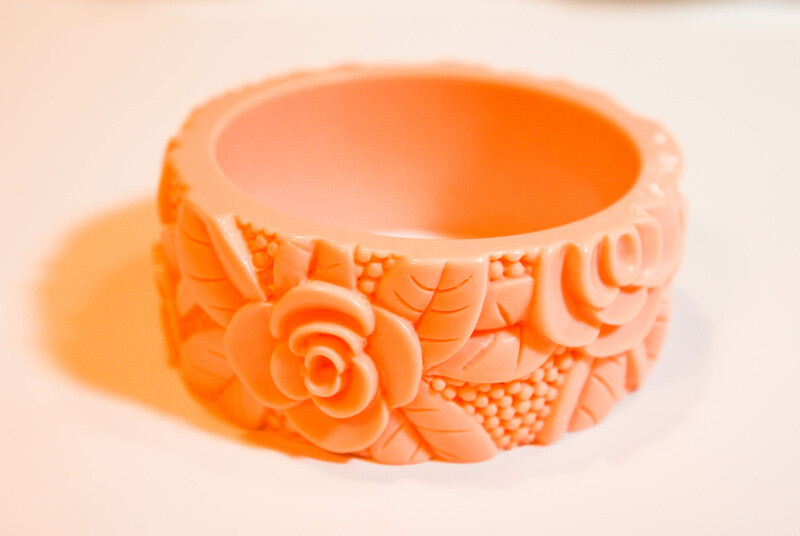 Bakelite is probably the most collectible — and valuable — plastic in existence today. Bakelite was discovered in 1909 by a New York chemist, Belgian-born Dr. Leo Hendrik Baekeland, the son of a shoemaker. In the 1920s, production began on bakelite jewelry ; the colorful pieces were attractive and affordable to those affected by the Great Depression. They could be produced in various colors, but the most common were yellow, butterscotch, red, green and brown.